History has been filled with a large number of injustices, but there have been people who were not afraid to stand up for what is right. Many of their actions were lucky enough to have been caught on film, and now serve as a testament to the power of human defiance. This photograph was taken of Rosa Parks the day after the legal integration of Montgomery’s bus system. 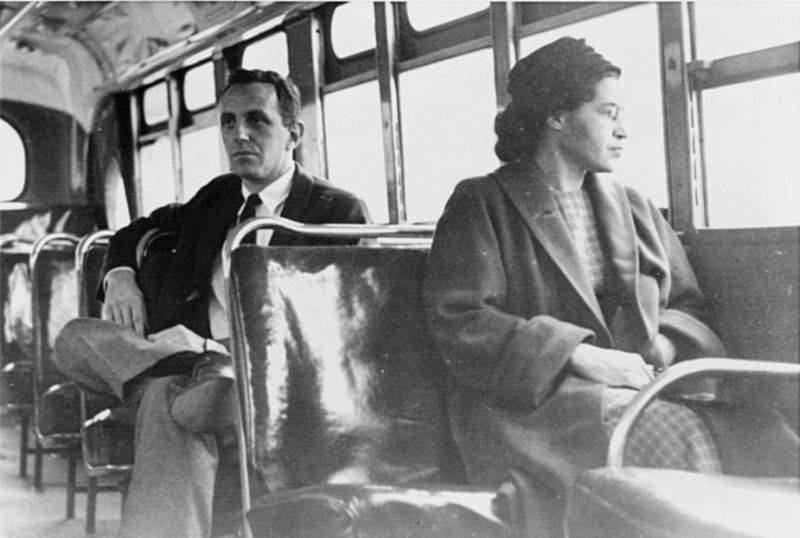 Rosa Parks has been coined as “the mother of the freedom movement” as her actions have become an important symbol of the modern Civil Rights Movement. On 1st December 1955, Rosa refused to obey the bus driver, James F. Blake, who ordered her to give up her seat on the bus for a white passenger and return to the coloured section of the vehicle. She was arrested for violating Alabama segregation laws, but her brave actions will forever be remembered in history. The police regularly raided gay establishments during the 1950s and 1960s, and would shut them down. When they raided the Stonewall Inn in Greenwich Village in 1969, they were met with a crowd who decided to fight back. 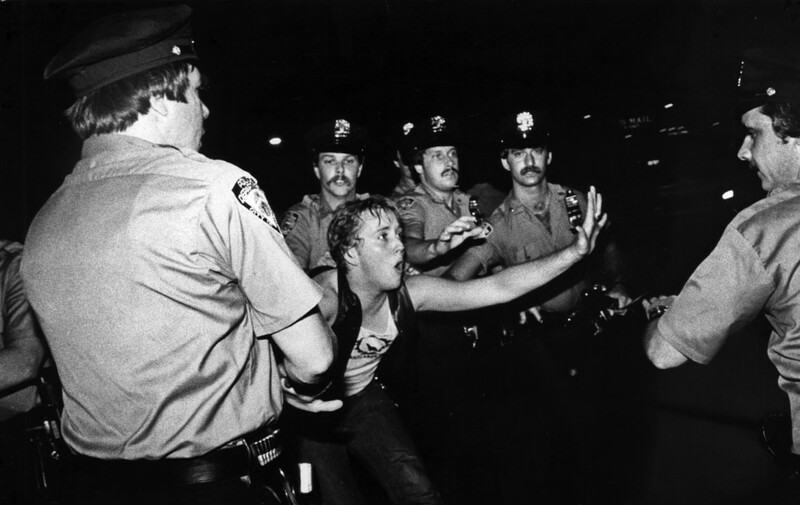 The Stonewall riots are therefore considered to be the start of the gay rights movement. 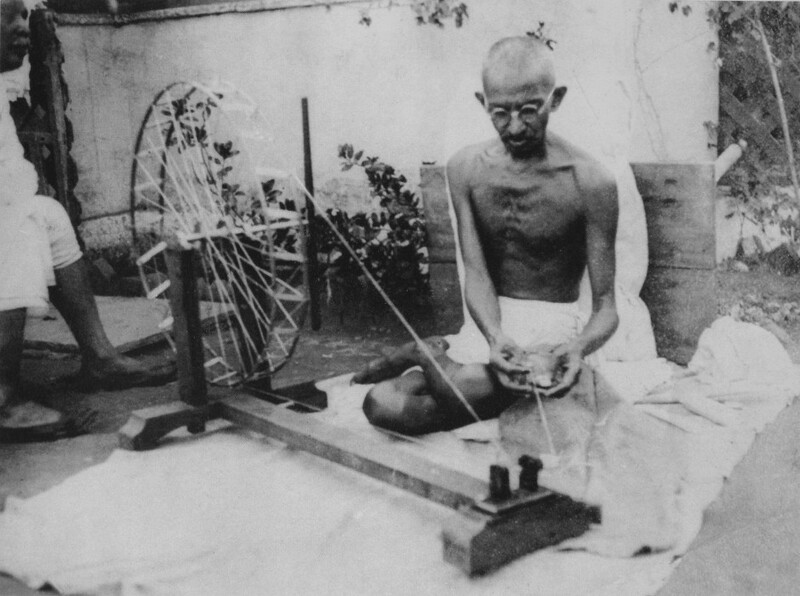 To campaign against British imperialism, Mahatma Gandhi encouraged Indians to take time out of each day to use a spinning wheel and create their own cloth, so they would no longer have to spend money on British-made cloth. The image above is so intrinsic to Indian history that the spinning wheel features on the Indian flag. This is one of the most historic photographs in history, and was taken during the Vietnam War protest in Washington D.C on 21st October 1967. 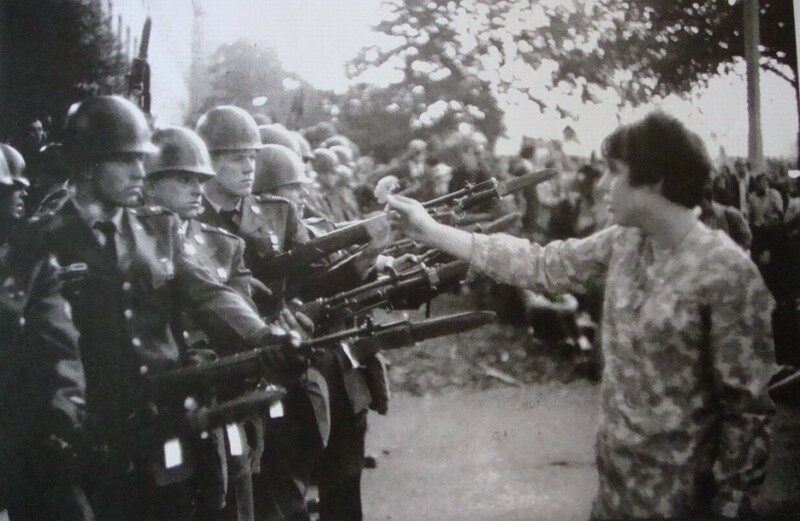 17-year-old Jan Rose Kasmir placed a flower in one of the National Guard member’s rifles, when the squad prevented the protesters from approaching the pentagon. The photo was taken by the French photographer, Marc Riboud, and it is a symbol of the “flower power” movement. 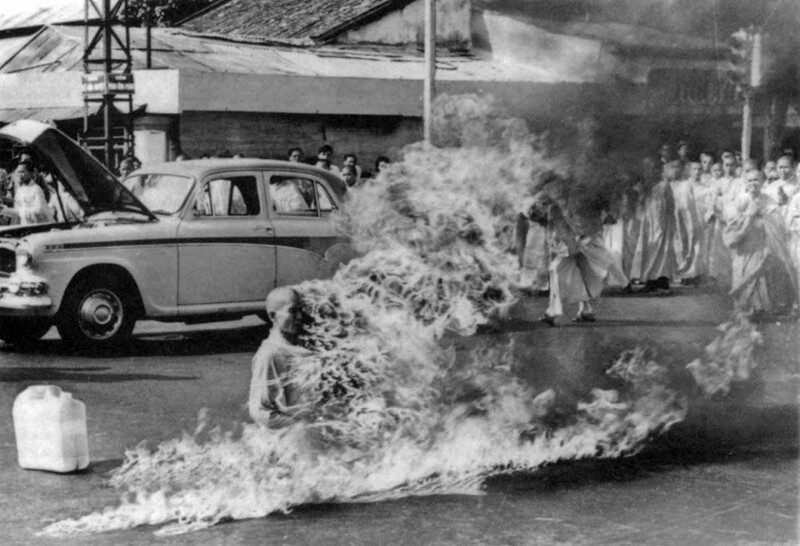 Thich Quang Duc was a Buddhist monk who intentionally burned himself alive in the streets of Siagon back in 1963. 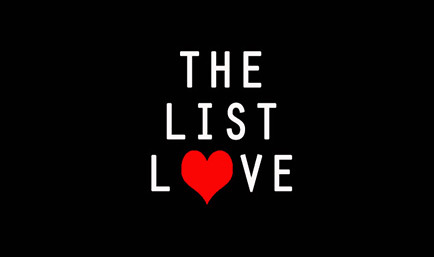 The act was a protest against the government crackdown of buddhists, and the act was repeated less than 50 years later by Mohamed Bouazizi, a Tunisian street vendor, which caused a massive uprising that was later known as the Arab Spring. Without The Suffragettes, women would not have the rights they do today. While there is still a way to go for complete equality, The Suffragettes gave women a voice in society, and their brave efforts should never be forgotten. 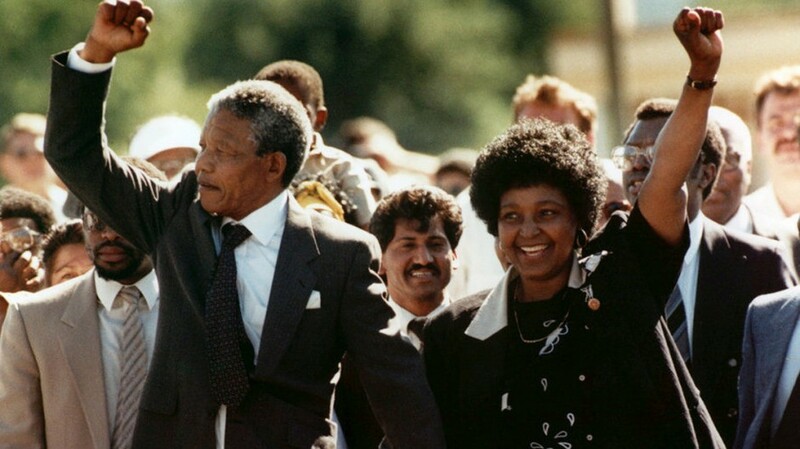 Nelson Mandela was released from prison in 1990 after spending 27 years in jail for conspiracy to overthrow the state. However, his attitudes towards forgiveness in South Africa led to the peaceful transition out of the apartheid regime. Between 1976 to 1983, Argentine children began to disappear during the Dirty War of the Military dictatorship. 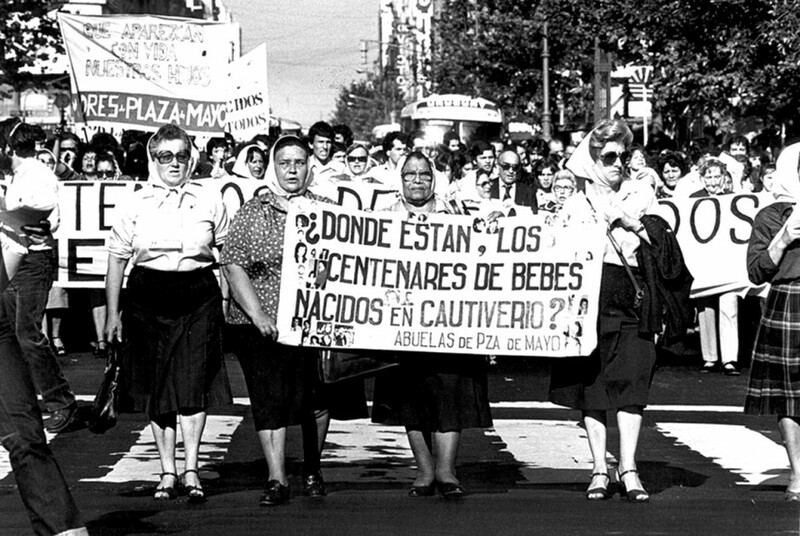 Much of the population were silent, however, the mothers of the children stood up in defiance of the military government and began demonstrating. Many of the women also “disappeared” as a result; however, the Madres of Plaza de May are still active and continually attempt to uncover the fates of their children. 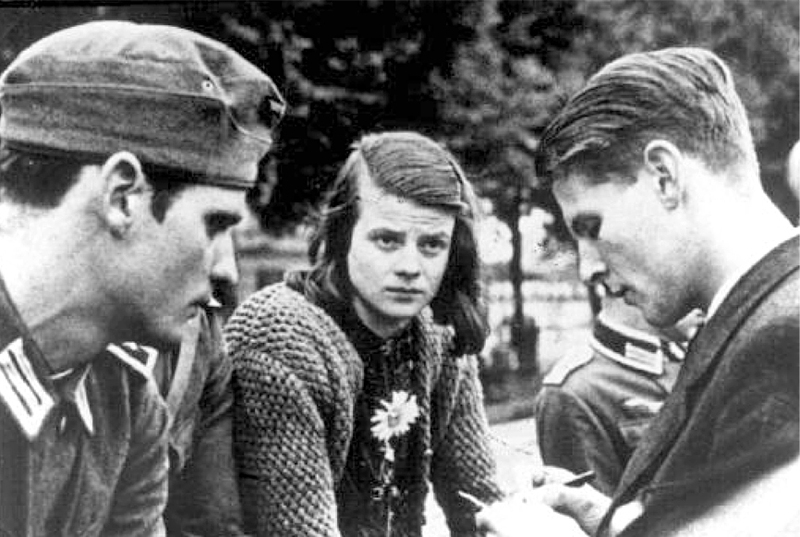 The White Rose was a German pacifist resistance group based in Munich, and distributed leaflets that favoured freedom of speech and religion across the country, and opposed Hitler, the Nazi rule and WWII. In 1943, the six prominent members of The White Rose were beheaded by the Gestapo. 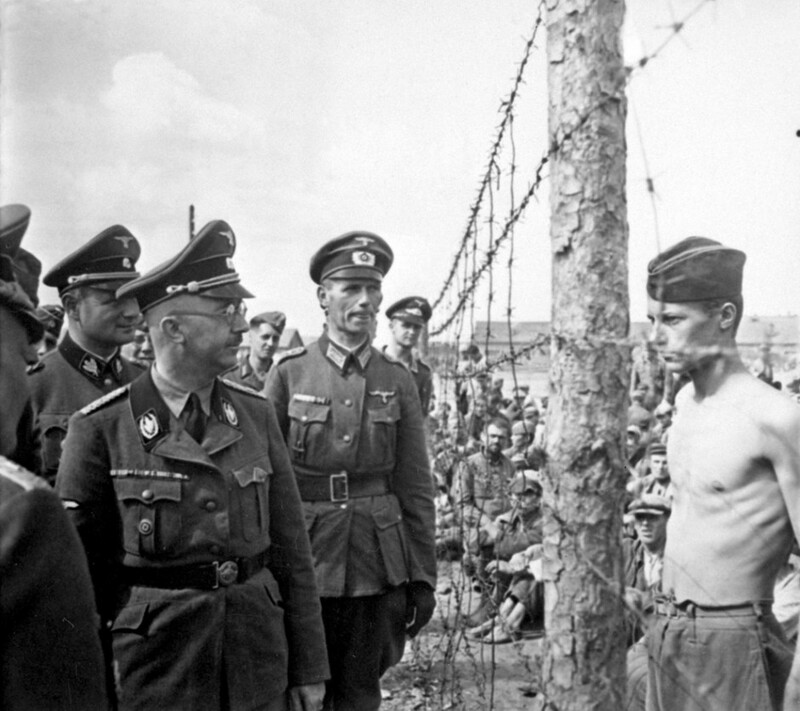 Horace Greasley was a British POW who stood up against Heinrich Himmler, a leading member of the Nazi Party of Nazi Germany, as pictured above. Horace reportedly broke out of the Nazi war camp 200 times, but would always return to continue with a love affair. Want to view more historic photos? Read 10 Controversial Photos from History You Have to See.